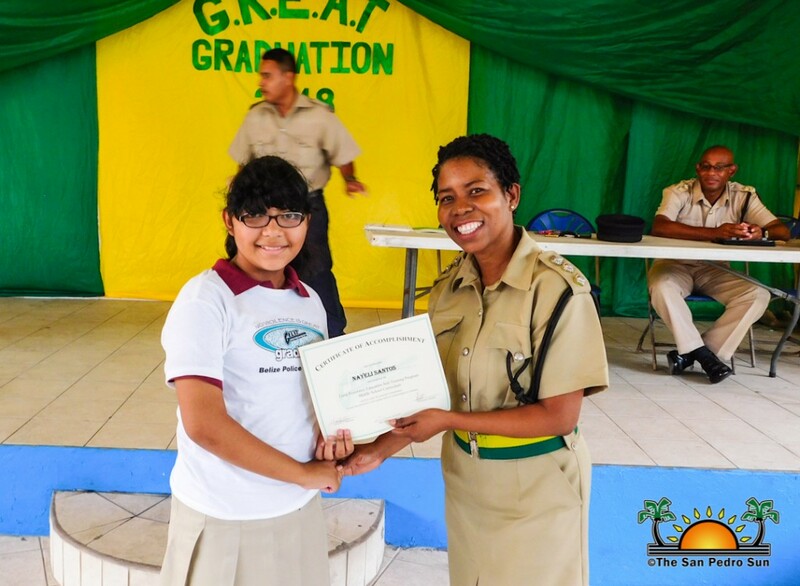 102 students proudly received certificates marking their completion of the Gang Resistance Education and Training (GREAT) Program in a ceremony held at the Lions Den in San Pedro Town on Friday, June 22nd. The program was led by Police Constable (PC) Juan Chuc and is part of a countrywide police initiative to educate children on the consequences of gang violence. 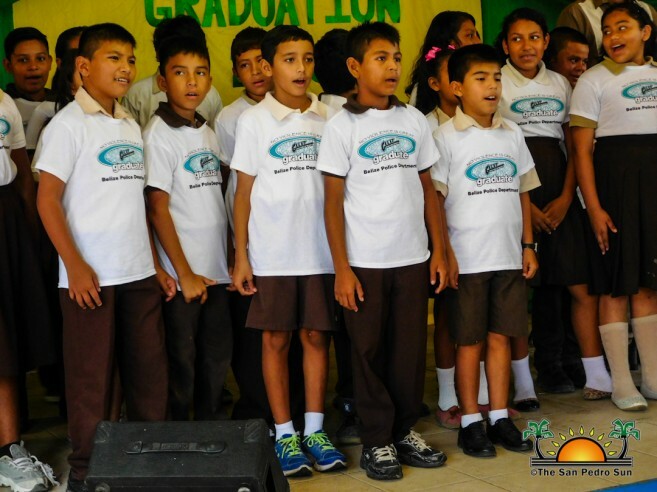 With the singing of the National Anthem by New Horizon Seventh Day Adventist School, the ceremony began shortly after 2PM. 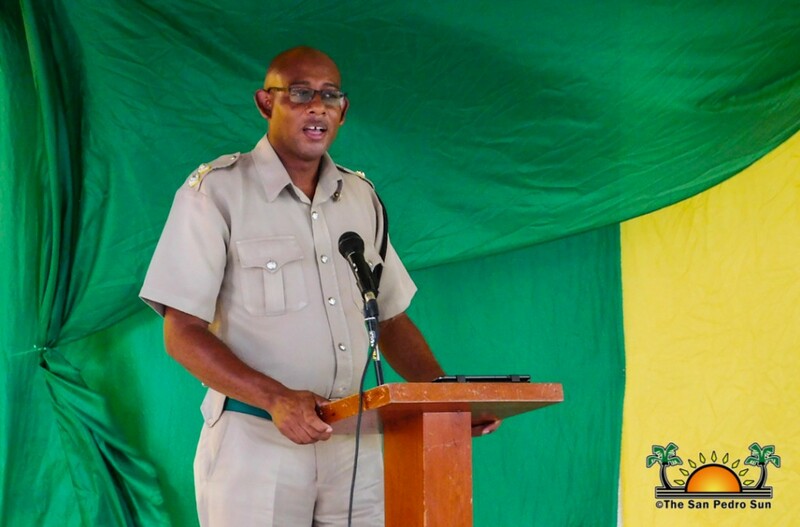 A short invocation by Pastor Clive Welsh followed, after which Mistress of Ceremonies Odilia Caliz invited PC to deliver a brief welcome. “I want to thank everyone who came out today to support these children on their GREAT achievement,” said Chuc. 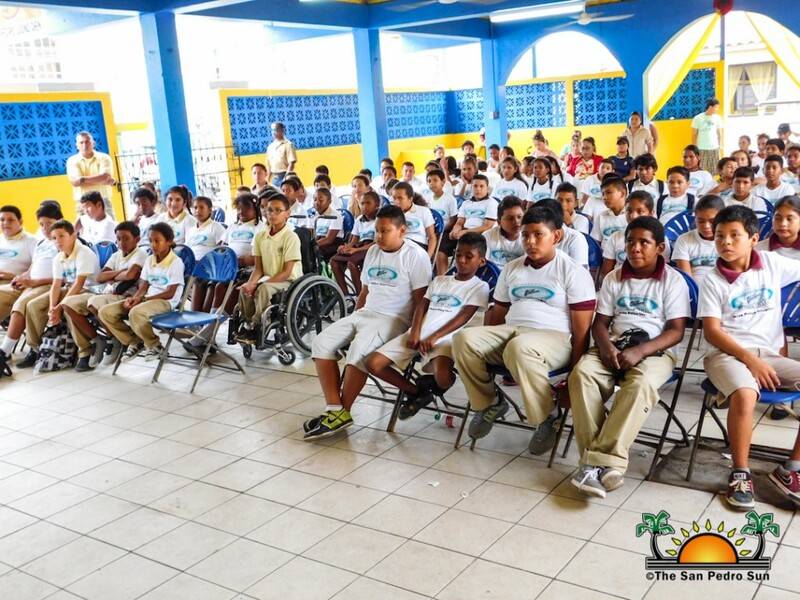 Students of Ambergris Caye Elementary School then made a short presentation focusing on the negative effects of gangs in our society. 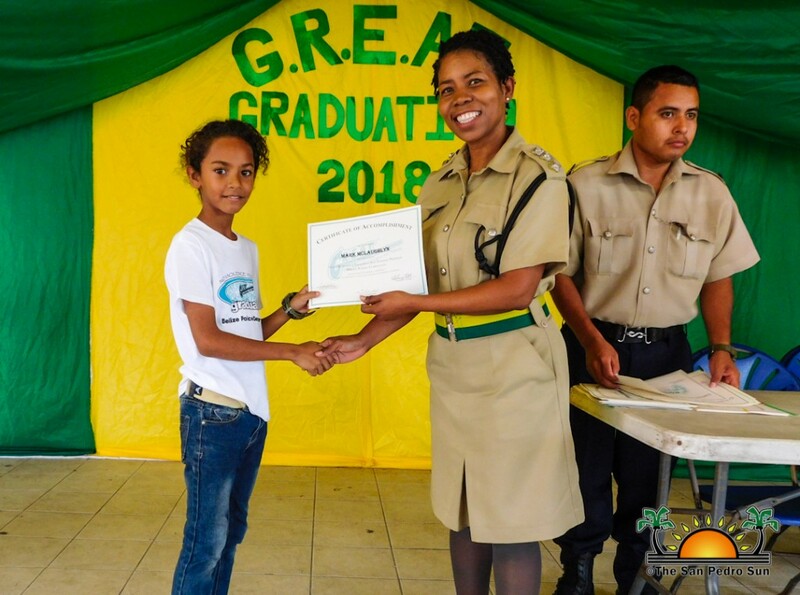 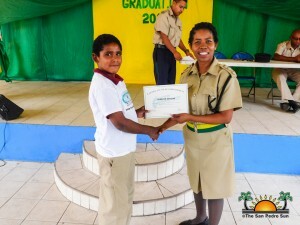 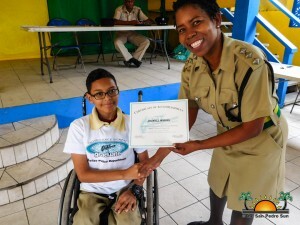 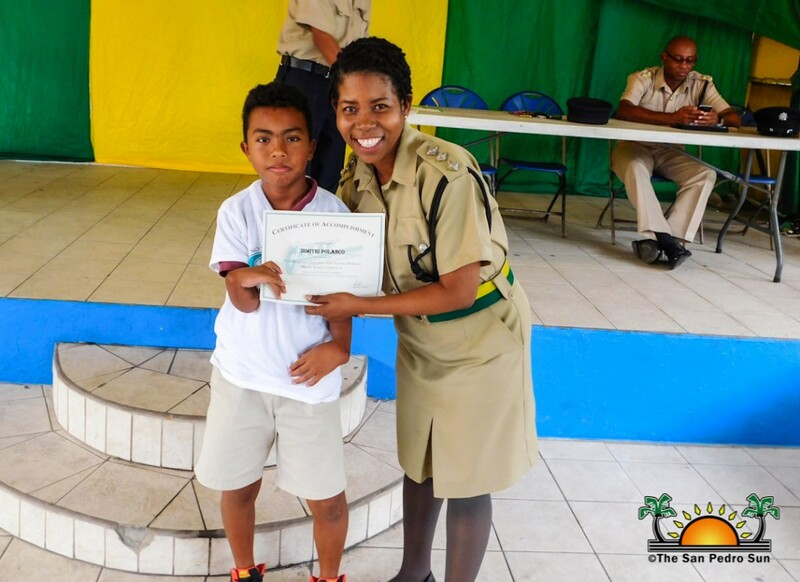 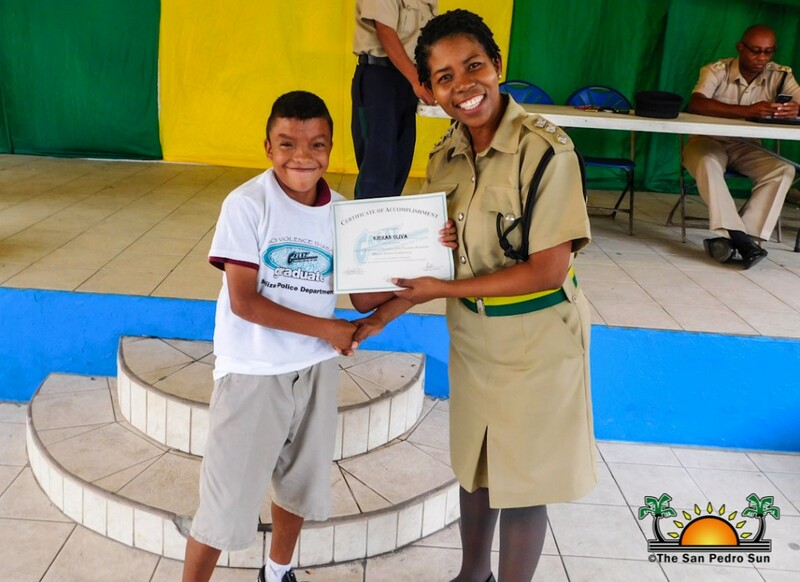 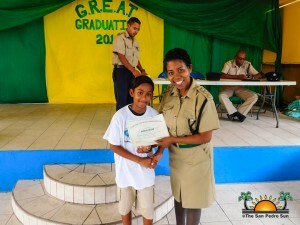 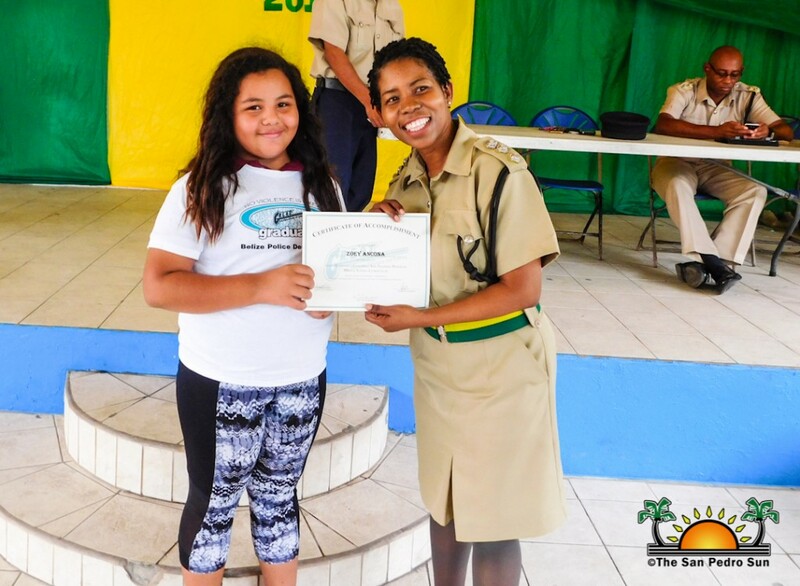 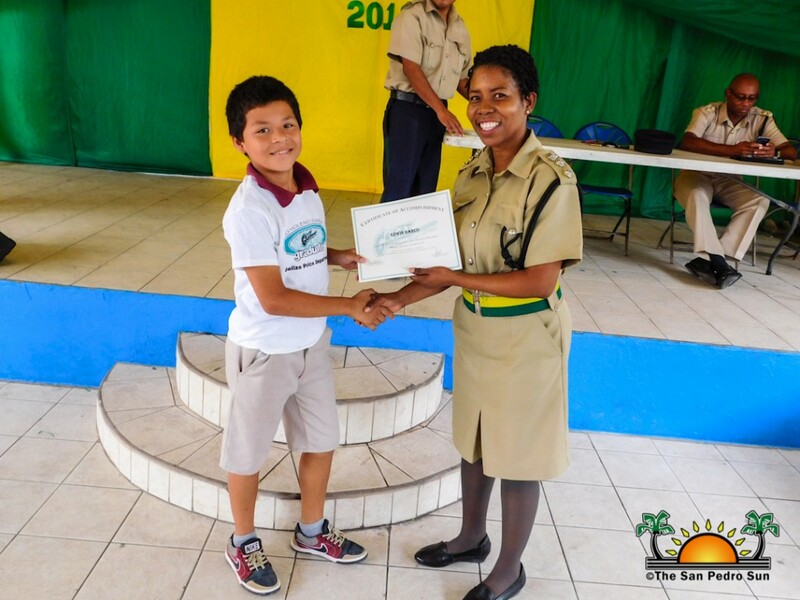 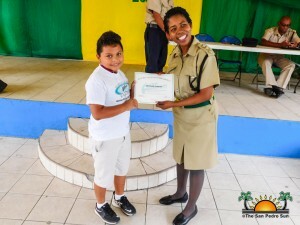 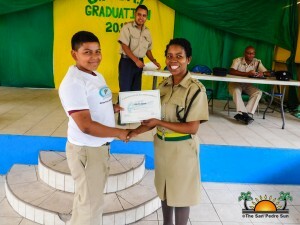 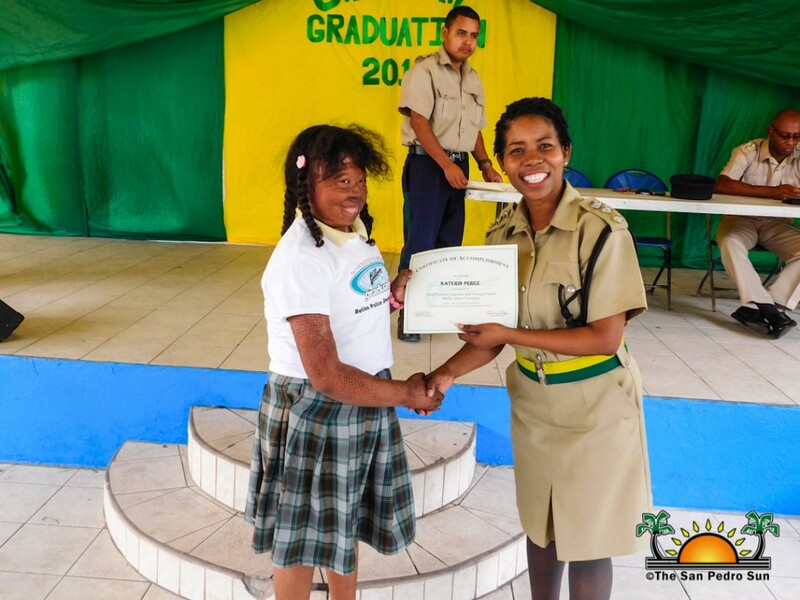 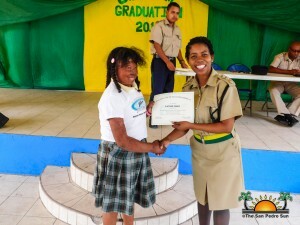 Assistant Superintendent and Deputy Officer in Charge of the Coastal Excecutive Unit Dehanne Augustine congratulated all the students as she issued their certificates of completion. The GREAT program began in Belize in 2010, when police officers travelled to San Salvador, El Salvador for a two-week training on how to integrate the program into the school curriculum. 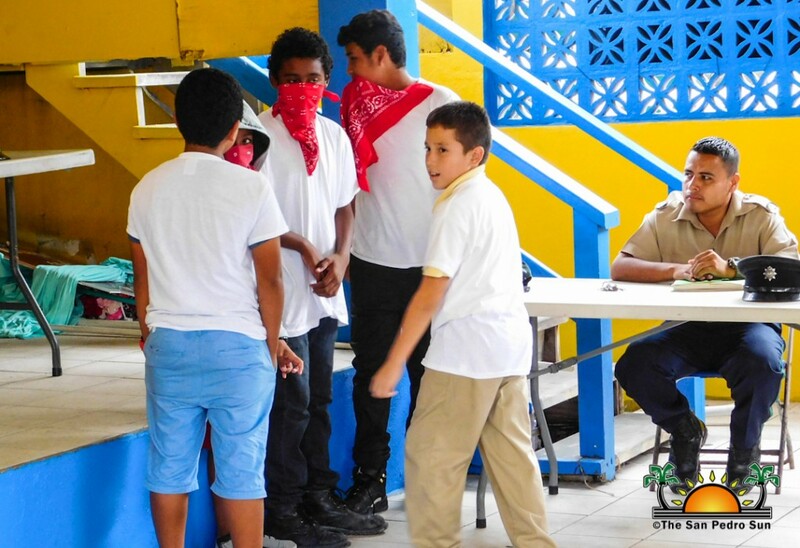 The program is divided into training for both children and adults, and the 13-lesson course provides knowledge on gang resistance and healthier ways for children to express their frustration. 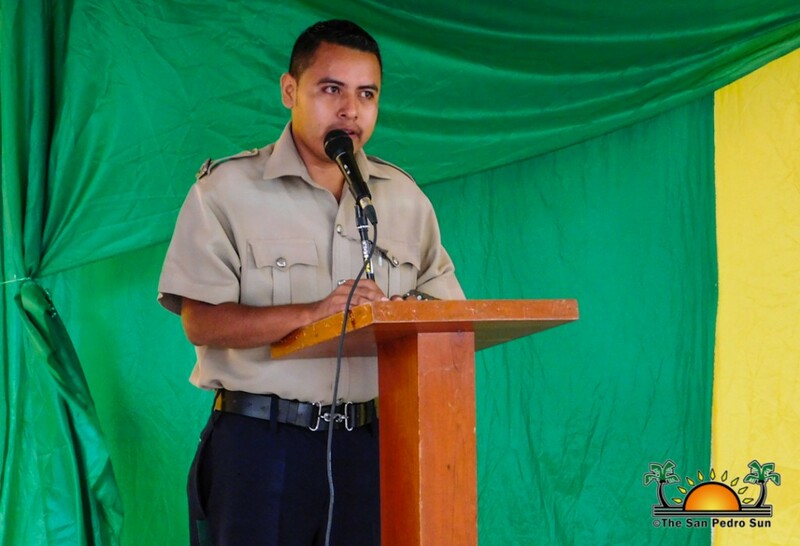 PC Chuc stated that one of the main reasons children join gangs is to release frustration that is sometimes fostered at home. 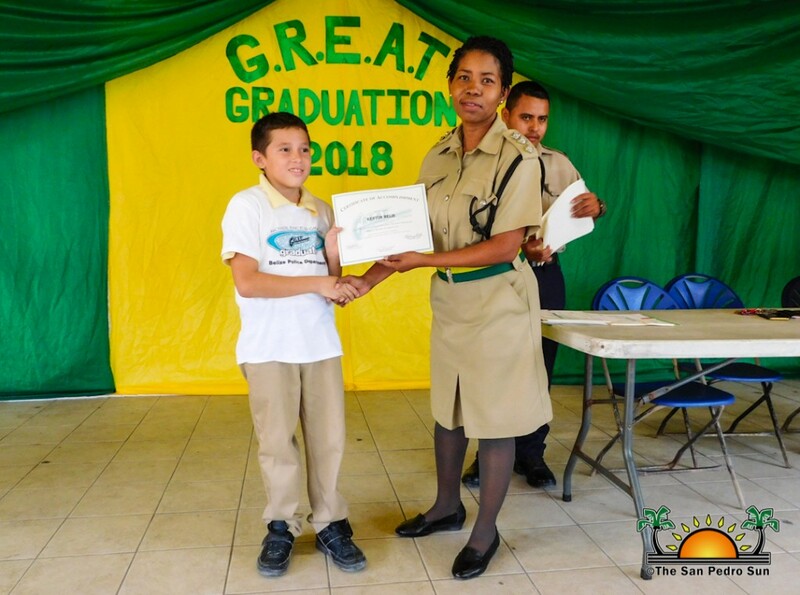 “The GREAT program gives the students a variety of choices they can make in life to better themselves instead of falling into criminal activity,” he said. 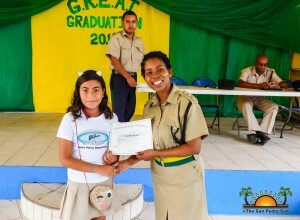 Congratulations to all the children that completed the program, may your choices always be GREAT! For more information on the GREAT program contact PC Chuc at 607-9033.